Sunday September 9, 2018-Nairobi Governor Mike Sonko has lambasted his Migori counterpart, Okoth Obado, for sleeping with the late Sharon Otieno with a condom and in the process impregnating her. 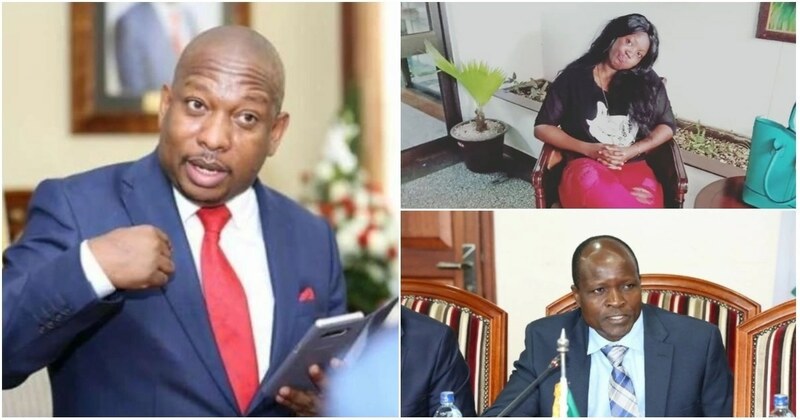 Speaking yesterday, Sonko sensationally claimed Obado, whose personal assistant is a key suspect, should be arrested and charged with murder of the 26-year-old pregnant woman and her baby. The Governor noted that Sharon was killed because she refused to heed Obado’s advice to procure an abortion. “He is very ignorant and naive,” said Sonko. “Obado must be arrested and charged with murder. Let him go to jail," he said. Sonko asked fellow Governors to defend a killer in the name of Governor Okoth Obado and let the law take its course.